View hill country homes from 2,100 sq. ft. to 4,000+ sq. ft. and priced from the $400s to over $1 million. Tour new model homes, new spec homes and beautifully finished custom homes. Come and enjoy food from local food trucks, taste local wines and tour over 15 homes! Be sure and stop by the Welcome Center for a map of homes. Year 'round calendar of community events like the Annual Summer Concert Music Series, Trunk-or-Treat, Yoga classes, Wine Night and more! For more information on the Open House call 830-885-3054. Please complete the form to RSVP today!  Vintage Oaks is a 3,900 acre community in the Texas Hill Country featuring New Braunfels land and homes for sale surrounded by resort-style amenities. Named the fastest growing community in the Hill Country for five years running, Vintage Oaks has a selection of several neighborhoods offering 1-14 acre homesites as well as a wide variety of quick-move homes.